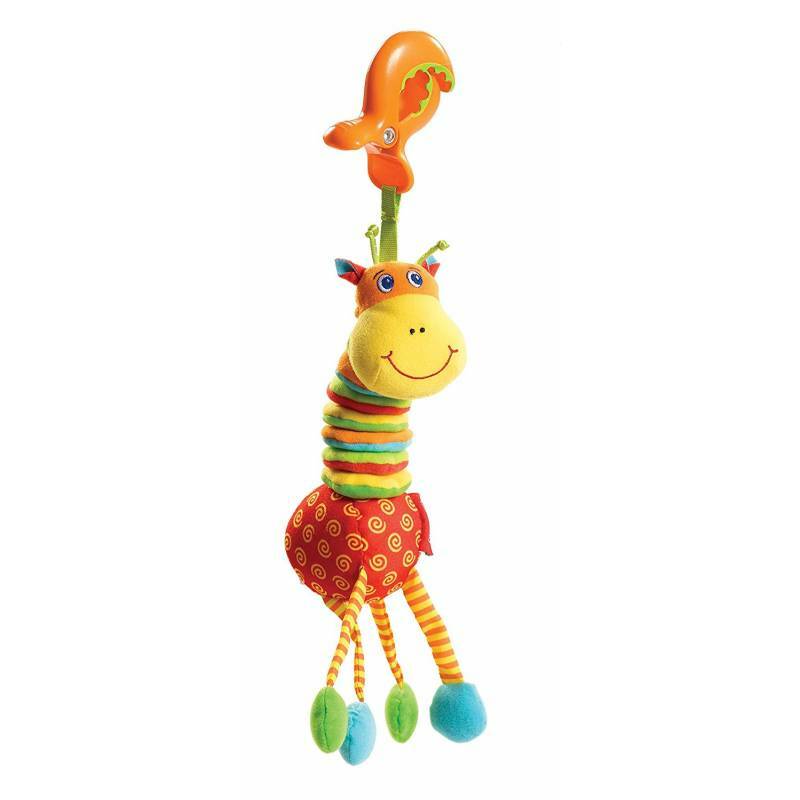 Cute clip-on Jittering Giraffe toy that encourages hand-eye coordination. Attach the Jittering Giraffe where your baby can see and easily reach it. Because babies cannot reach beyond their mid-line, it is important to hang the toy on or towards the side. Let your baby hold the Jittering Giraffe so that he/she can explore it with hands and mouth. Show your baby how to tug at the giraffe to make it jitter and to shake it to hear the charming sounds. Tiny Love’s Jittering Giraffe is small enough to take anywhere, giving your baby a sense of security and continuity everywhere you go. Our clip-on pals also encourage babies to use their fingers and hands in a variety of ways, helping to enhance their fine motor skills.